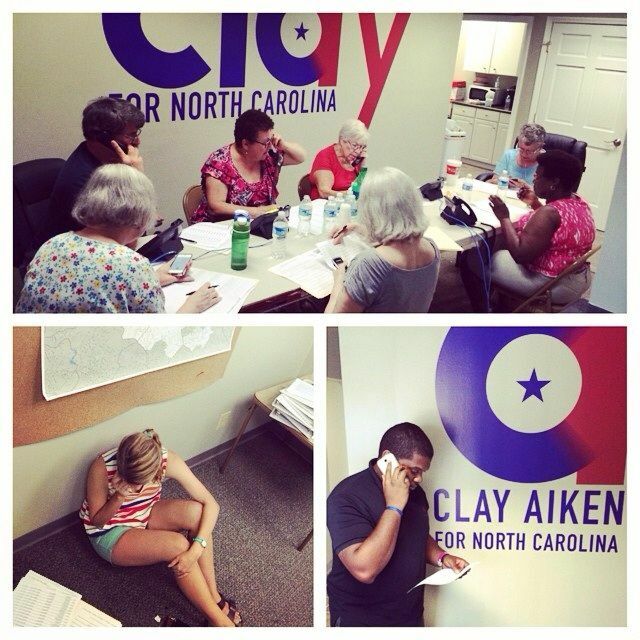 On Thursday, the news media was full of stories that talked about Clay Aiken, his campaign for the U.S. House of Representative, and his opponent, Renee Ellmers. 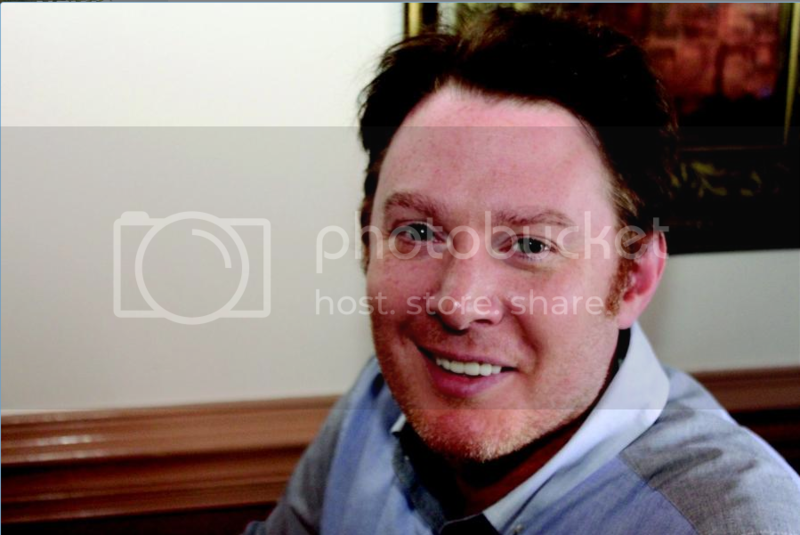 Clay Aiken slipped into an Asheboro restaurant virtually unnoticed while campaigning in the city last Thursday. The former American Idol runner-up who is running as a Democrat against Republican incumbent Renee Ellmers for the District 2 Congressional seat, took time before his food arrived to talk about his campaign and what he hopes to accomplish if elected. Aiken said he thinks people, including Republicans, are tired of Congress not doing anything. “You can’t cater to (House Speaker) John Boehner and expect to get things done for Asheboro,” he said. “Ellmers is not doing what she’s supposed to be doing. 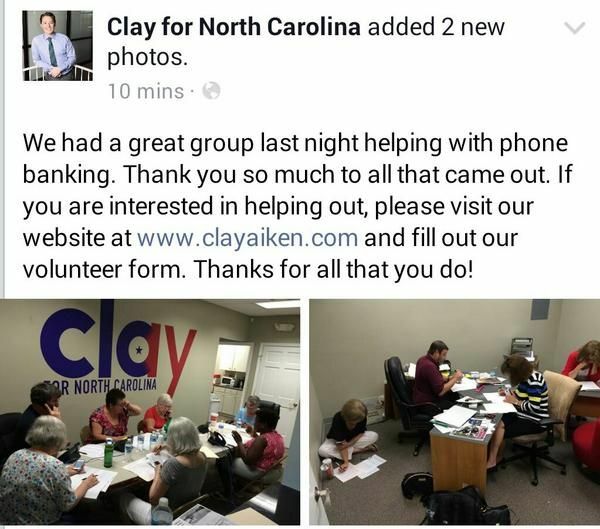 A big Thank You to all who are donating their time to help Clay and his campaign. They do it because they believe in Clay and know that he will make a wonderful Representative! “Below are her full comments from the event…, along with the audio of her segment. I have bolded the comments I used in my original post.” Having looked at the link, I feel Ellmers was treated fairly. 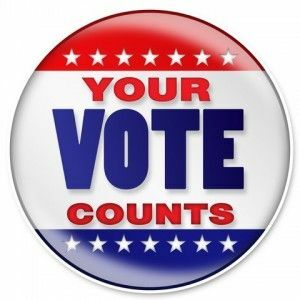 Let me express my inherent bias here: all things being equal – and all things are NEVER equal, I’d be inclined to support a female candidate over a male candidate. In this case, though, if I were able to vote in the Congressional race for North Carolina’s Second District, I would support the male candidate. 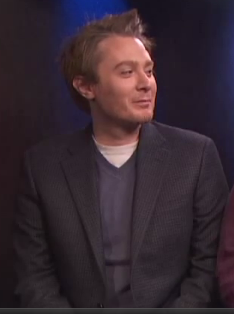 That guy, BTW, is Clay Aiken, best known to me as the second-place contestant on an early season of American Idol; we even own one of his albums. You may have also seen him – I did not – on Celebrity Apprentice, where, I am told, he presented himself well…. ….It’ll be interesting to see what type of representative NC-2 wants, a two-term woman who appears to be over her head in Congress, or an openly gay man with a bit of entertainment fame. Last time out Ellmers won with 56% of the vote. As noted, my rooting interests are with the singer. The article does have a picture of Clay included in it, but I have chosen a different one to post. 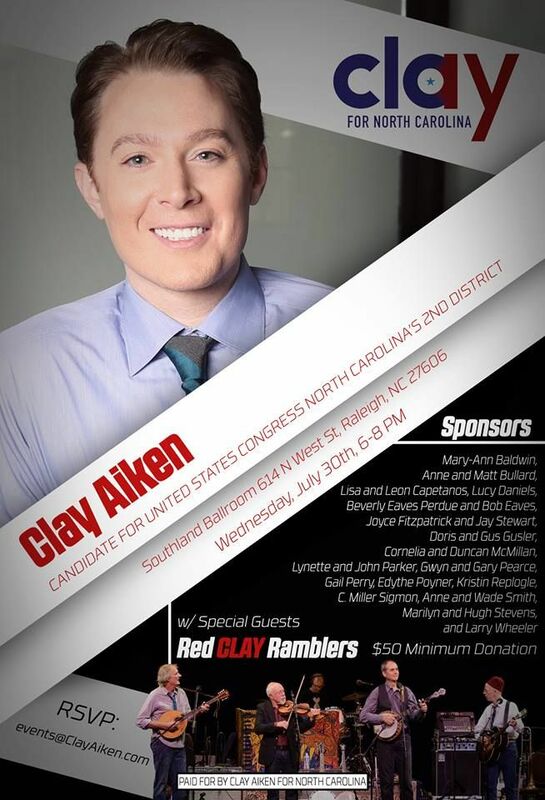 And…just a reminder… On July 30th, a really fun event is planned to help Clay and his campaign raise money. Please pass the word. It would be wonderful to sell out the event!! I heard a recording of the Red CLAY Ramblers a few days ago and they were fabulous!! Thank you again for your support of CANN! Once again excellent job Musicfan. So exciting to see so many articles about Clay. He is doing a great job getting out and meeting voters. I still don't understand what the hold up with Renee and a response to a debate. YES or NO not that hard. I enjoyed reading all of the posts you included in the daily CANN email. Thanks for giving us so much information. I would never find all of this searching on my own. Error: Error validating access token: Session has expired on Tuesday, 21-Aug-18 16:13:01 PDT. The current time is Thursday, 18-Apr-19 05:44:51 PDT.